Our annual research shows the vast majority of marketers are using content marketing. In fact, it is used by many prominent organizations in the world, including P&G, Microsoft, Cisco Systems, and John Deere. It’s also developed and executed by small businesses and one-person shops around the globe. Why? Because it works. Looking for more examples of content marketing? Download our Ultimate e-book with 75 content marketing examples. 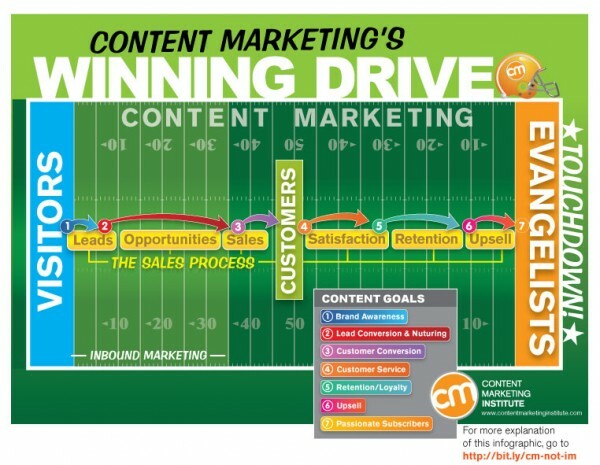 To be effective at content marketing, it is essential to have a documented content marketing strategy. Download our 16-page guide to learn what questions to ask and how to develop your strategy. New to content marketing? Check out our getting started guide, where you’ll learn the definition of content marketing, as well as basic steps for putting a content marketing plan in place. Need a content strategy? Read the CMI Content Marketing Framework, which outlines the essential building blocks for a successful content marketing program. Looking for some content marketing examples? Download our Ultimate e-book: 75 Content Marketing Examples. Are you in marketing leadership? Subscribe to our free magazine, Chief Content Officer, to stay on top of the latest industry trends. Need advice specific to your organization? Contact our consulting group, led by strategist Robert Rose, to find out how they can help you meet your content marketing challenges. If at any time you have questions about content marketing, don’t hesitate to reach out and ask us.